Muhammadu Buhari, Nigeria's fifth democratically elected president is today more than qualified to be regarded as a repentant tyrant; a true democrat. Born on Dec 17, 1942,at Daura, in the present day state of Katsina, Northern Nigeria. A career military officer who rose to become Nigeria's head of state in 1983 after ousting a democratically elected government under the leadership of Alhaji Shehu Usman Shagari. While he was the head of state, both the old and young can attest to his sternness and austere outlook on life and ruthlessness in matters of governance. His government was notorious for clamping politicians into jail without trial. Flogging of erring members of public and other sundry excesses were a common sight. Sooner than later his government became so unpopular for its sweeping disciplinary onslaught and was giving a hiding in a palace coup led by General Ibrahim Badamosi Babangida in 1985. Ever since, he has kept a distance from politics. There is, however, enough proof that he commands a large followers especially in the core north for his integrity, discipline, religious piety, Statesmanship and good track record as a public officer. But in a surprise reappearance on the big stage was appointed the chair of Petroleum Trust Fund ( PTF) under the government oflate head of state General Sani Abacha. And he shone like a five ruby public administrator not tempted by the dizzying volume of financial resources at his disposal. He bathed clean and the sponge he properly drained. It is on record that at the threshold of this democratic dispensation in 1999, the incoming administration of Chief Aremi Olusegun Obasanjo, true to one of his campaign promises, scrapped the PTF. But nothing incriminating was found against him when the books were opened eventually. This was corroborated during a campaign trip to Abeokuta in the run up to the presidential election of last year by his host former president Olusegun Obasanjo. When finally he decided to foray into politics proper in 2003 as the presidential flag bearer of the All Nigerian People's Party (ANPP), it wasn't a surprise at all to many political watchers.In fact, it was so long expected because he belong to the golden generation of military officers Nigeria ever had. Though he lost repeatedly three times, he never gave up on his strong desire to help correct many of the anomalies within the Nigeria political station. In the run up to the last general election like in the three before it, there were deliberate, calculated and sustained attempt by the shrew eyed spin doctors in the opposition camp to straight jacketed him into a Sabre faced Satan never to dine with even with a long spoon. He was alleged to have threatened fire and brimstone if the elections were rigged. In short, that blood will flow. To this effect, sustain campaign was sponsored on national radio and television stations to malign his image in the minds of members of the society. But in the end he triumphed on his fourth attempt thanks to a historic marriage of pockets of opposition parties across board. Now seated on the throne, I have been looking for string of actions that could effectively connect him to the dark narratives of the past and I have simply found none. He has conducted himself in the most capable, noble and grandeur manners befitting his exalted office. He has tailored his activities both in official capacity and out of it to suite the dictates of the grand norm which is the Nigeria constitution of 1999 as amended. Every alleged infraction against the Nigerian state, investigated, by officials in the previous administration are being subjected to the rigor of judicial process in the properly constituted courts of law. A case in point is the two billion dollars earmark to fight insurgency in the north east but was diverted or misppropriated if you prefer. There are no executive orders to punish anybody until found guilty. His every appearances stately; utterances terse, measured and democratic. No bluffly attempt is ever made to show off or deploy the enormous powers at his disposal as bestow on him by the Nigeria constitution. So far, he has said and done nothing to deliberately heat up the polity. He would rather allow judicial process take its long ponderous due course than try to abrogate it with money and other such trappings of power as abundantly witnessed especially during Obasanjo’s era. But president Buhari true to his nature will never bribe anybody or groups to have his way when appointed or elected public officials are allege to have acted in breach of the constitution which they sworn to uphold how much more in matters of governance. As such he occupies such high moral station, thoroughgoing, executive and can not be rivaled by any former heads of state living or dead. 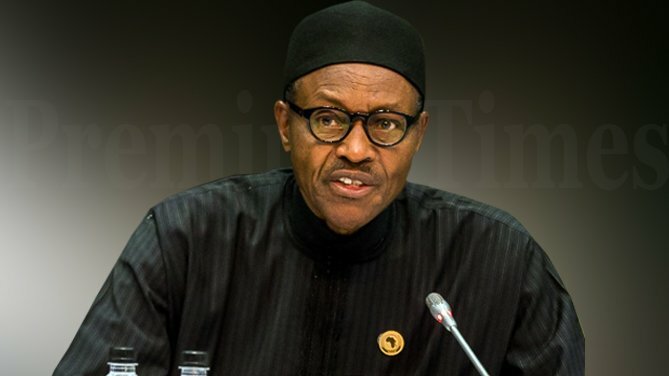 While many in his government are regrettably still living in the past aggressively seeking immunity to prying eyes of various anti-corruption agencies, our able president is already living in the future having successfully slipped off the toga of a tyrant..
What more can we demand from a man who has been written off long before arriving..The facts of the matter speak for itself and I think he deserves to be reverently addressed as a true democrat by all and sundry. He has simply surpassed our collective expectations. Even those who strongly hold the position that he would run rough shod on people's rights and privileges have been left perplexed by his individual, executive and presidential best practices. Unlike others, he seems to know the constitution and will never act in breach of it or any part thereof.